Wow, I haven’t posted in over a month. Yikes. But I had a very good excuse in that I had an operation on my left arm which restricted the use of my left arm even more. But regular posting will return because after 108 days in hospital, I was finally discharged on Monday! I still have to return twice a week to have my dressings changed but other than that, I am free! Full post with full in depth story will come later but this has been an update of sorts. I’m just happy to be home! It’s Easter so lots of bunny stickers! I like it. It was my brother’s birthday on the Saturday hence the bunting stickers. And if that wasn’t enough, I’ve been given day release to visit my parents’ house for Easter Sunday Roast and to see if the Easter Bunny has been. The bunny has been but my hospital room is far too warm and soft chocolate us terrible. I’ll be leaving the eggs here. I still have chocolate from Christmas left over, haha. 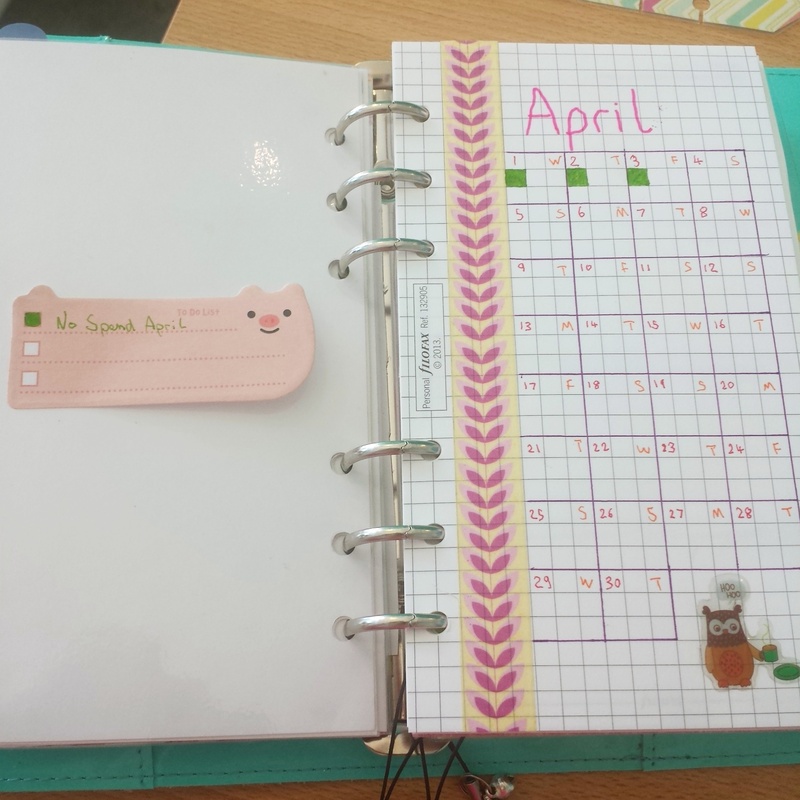 I also made myself a quick month overview, so far it’s monitoring my No Spend April. Going well so far, it’s alright if I’m buying something for someone else, right?! Have a good Easter, if you’re into that, general well wishes if you’re not. Despite being in hospital for the entirety of March, I still managed to spend way too much money. The internet is both a blessing and a curse. Spending money is too easy, there’s really not a lot to do and you find yourself browsing Amazon or Etsy and then you see something and you think to yourself “I’m ill, I can treat myself”. I do this a lot. To counteract this, I’m going to be taking part in No Spend April and now that I’ve put it out into the big bad world, I absolutely have to complete this. Game face on. Obviously, things like bills and rent have to be paid, the necessities are still allowed but no more pens or stationery or any other impulsive purchases a month. I’m not expecting it to be easy, I enjoy spending money on nice things. Realistically, I’ll probably slip up a few days especially if I get out of here by the end of the month. But it’s a first attempt and if I manage to save any money, it can only be a good thing! Not the most exciting or well decorated of weeks. Not much is going on in my life right now. I usually write down if I have any procedures or tests or if a specialist comes to visit. Decorating is getting better, physically. I’m slowly regaining dexterity in my left hand which is brilliant and I decorated this page early last week so! Onwards and upwards! There’s not an awful lot to do in hospital, once my dressings have been changed (and that’s not even every day), had a wash and my creams applied, it’s still usually morning time and I have the rest of the day to myself. My mum visits, that helps pass the afternoon a little. But then she has to leave and I’m alone again with my thoughts. As you’ve seen, I got a mass of stationery supplies and notebooks to play with. I have my beloved iPod. My mum brings me a newspaper to read (added bonus of being able to keep up with the outside world) and I have a DVD player. I don’t watch DVDs a lot, admittedly, I’m usually too tired or in pain to concentrate properly but recently I’ve had a craving and that craving was Spice World. Yes, the Spice Girls’ 1997 Magnum Opus, Spice World: the Movie. I was 8 years old when this film was released, I remember going to the cinema to see it. And now 18 years later, I was watching it again. But does it hold up? Well, yes. I think so! The Spice Girls themselves play up to their personas and they seem to have had a lot of fun making the film. It doesn’t take itself seriously and it’s still really enjoyable. I laughed at jokes I would have missed when I was youmer and I just really enjoyed it! For 90 minutes, it took my mind off the whole hospital ordeal and it was what I needed. Also, Geri Halliwell’s outfits were truly inspiring. I was in a super low mood this morning. I don’t usually cry from pain anymore but this morning was especially bad. I thought I had got on top ofloor my pain but over the last week or so the pain seems to be getting worse. I’m told this is because I’m healing and growing new tissue and new tissue means new nerves hence pain. Well that’s great! Doesn’t help me in the meantime, however. But the nurses and doctors got the Pain Team to visit me on short notice and they’ve increased my pain relief. Which, I’m currently happy to report appears to be working! Fingers crossed, y’all. Then mum swung round for her daily visit with post! Happy days! 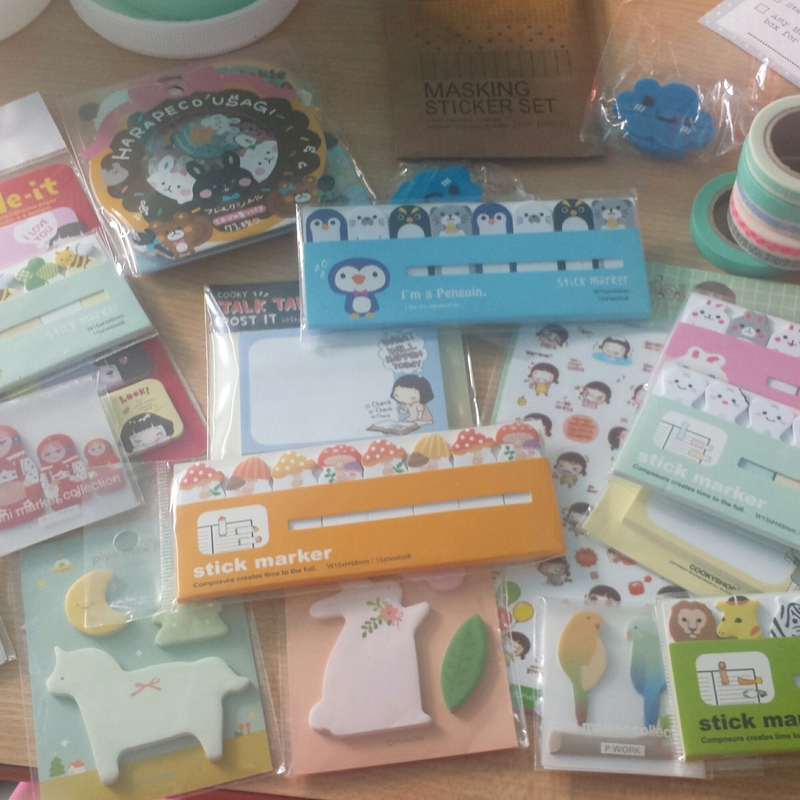 Here’s part of a stationery haul from Amy Makes Things there’s so much of it! To be fair, I divided my gains between my mother and I because she’s always well jelly of my stationery buys. 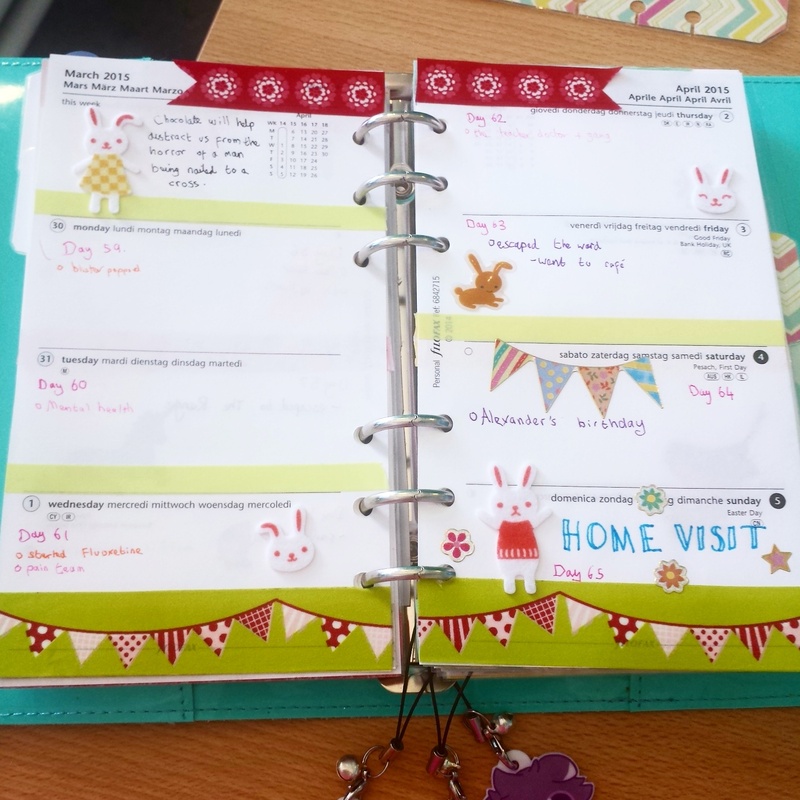 We’re both stationery and planner obsessed. I have two filofaxes in total. She got two just for Mother’s Day (a personal and A5 original in Fluro Pink. They are truly things of beauty, however.) 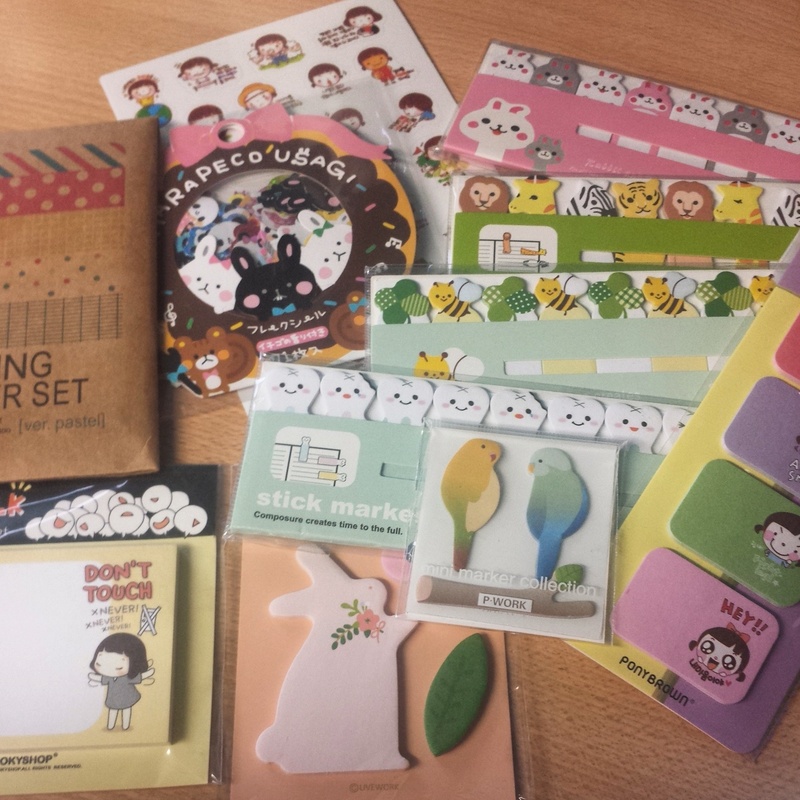 She also bought us Fauxdoris and changed the inserts to Moleskine Cahier notebooks. 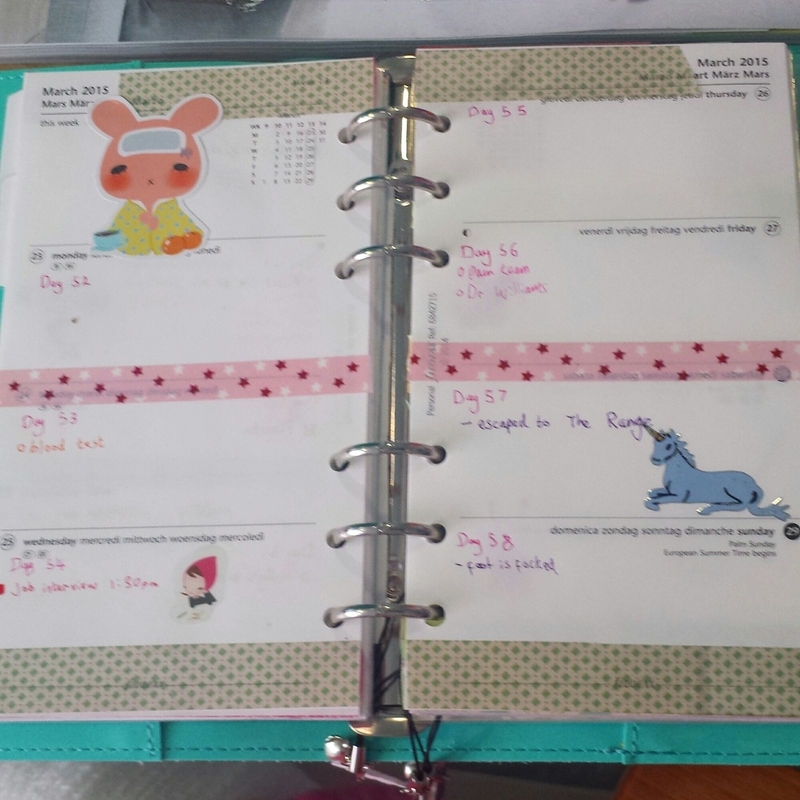 She’s also fashioning herself a Hobonichi, or a Fauxbonichi, as it were. Here’s what I kept for myself. Sharing is caring, as the saying goes. 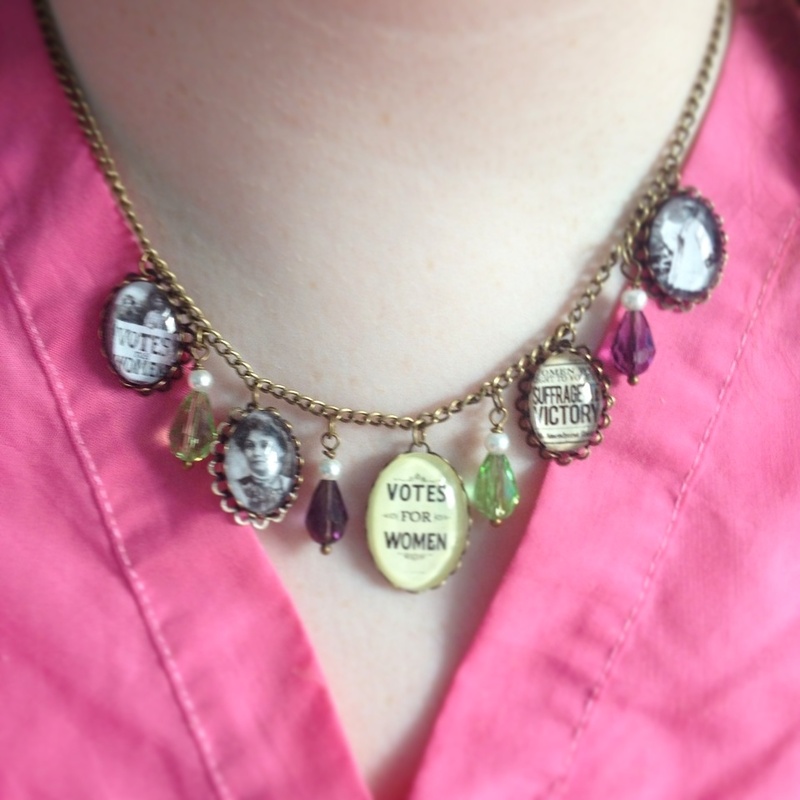 Not to get political on you but I fully intend to rock up to my local polling station in this. And please enjoy my fetching hospital nightie. That’s it for Internet shopping hauls from me. I think. We’ll see if anything turns up. I really need to do a No Spend April. Let’s stay positive and focus of positive things, I tell myself. So today’s post arrived, mum brought it into hospital for me when she visited this afternoon. 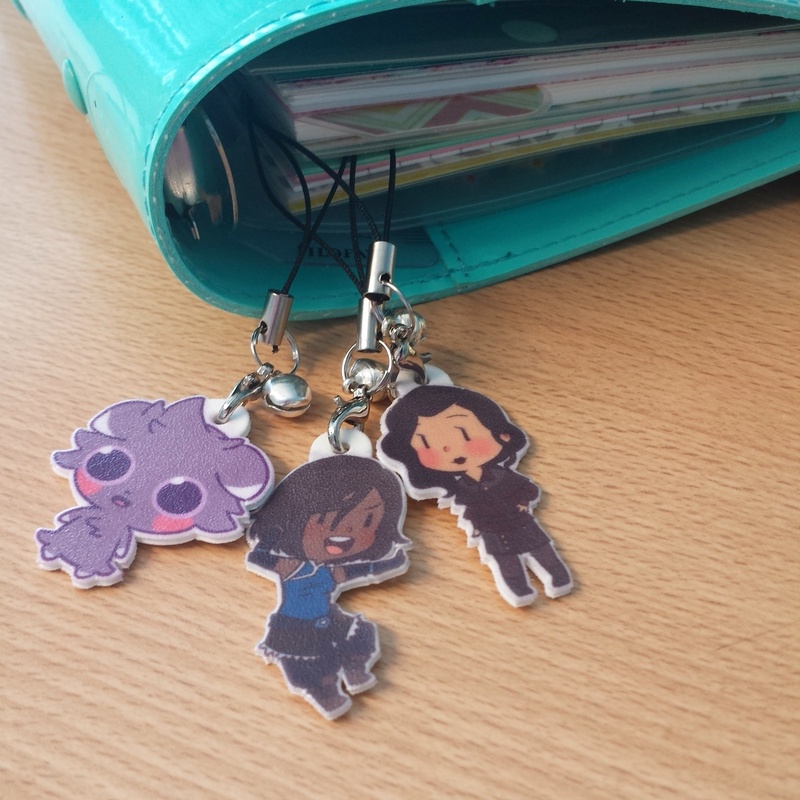 First things first, I bought these charms off Tricotia to use as planner charms. They are super cute. There’s a little Korra and a little Asami. Then I saw Espurr and couldn’t stop myself. This is a theme. 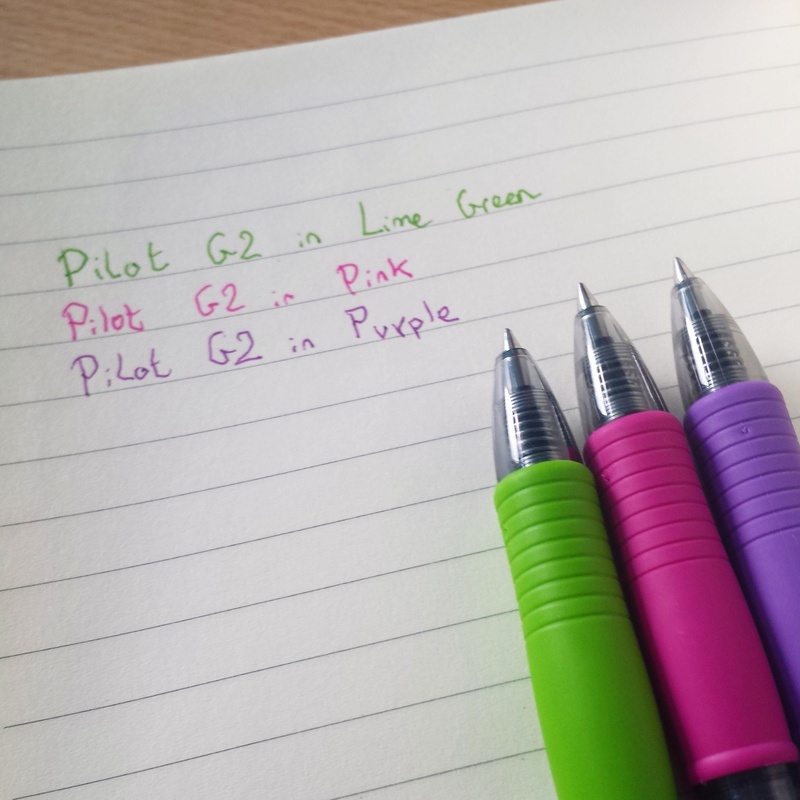 Then my Pilot G2s arrived in fun colours because these are some amazing pens. 10/10 would recommend.